The living room corner decor is a difficult thing to nail. Most of the times, we fail to identify the corners as a space for enhancing the potential ambience of a room. Even an unused spot such as corners go a huge way in crafting the energy of a space. 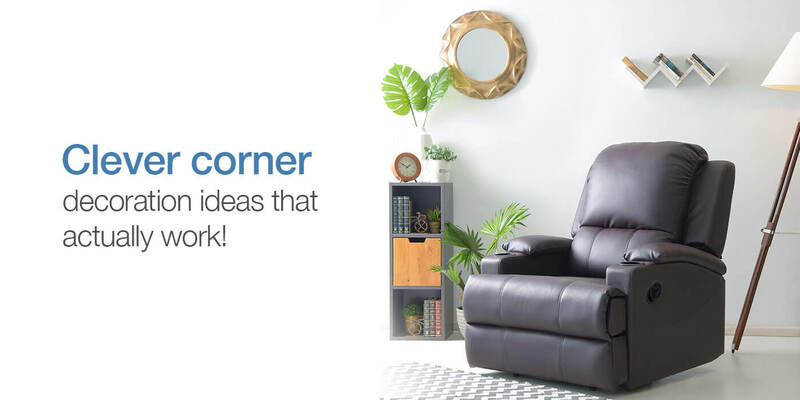 Every inch and square foot of living space counts and we are here with some fantastic corner decoration ideas for your living room. So brace yourself, as we present to you the right angles for those right-angled corners. When it comes to the living room corner decor, shelves are the most popular go-to element. A nice corner shelf doubles up the storage space while adding punch to the room. 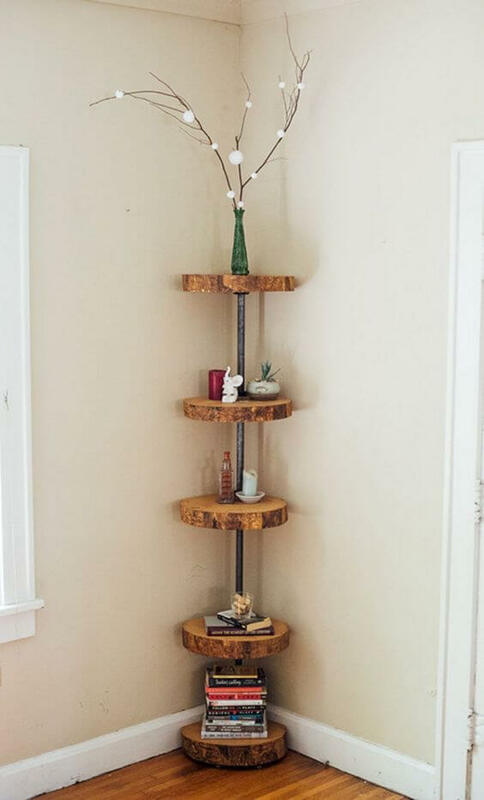 Be it floating shelves, floor shelves or regular wall shelves, there are so many ways to do it. Another clever way of corner decoration idea for living rooms is with the use of art. From framed photographs to paintings, to themed art, the possibilities are endless. Art is a great way to ensure that the conversations are flowing in the tiniest corners. Who doesn’t love an uber cosy nook in a comfortable corner of the living room? We sure do! All it takes is a perky rug, an accent chair and a gorgeous display unit for convenience. And behold your very own cosy nook, amidst it all and away from it all. For all of you who have an empty corner beside a window, you couldn’t be luckier. A corner with a view is something that can be experimented with. 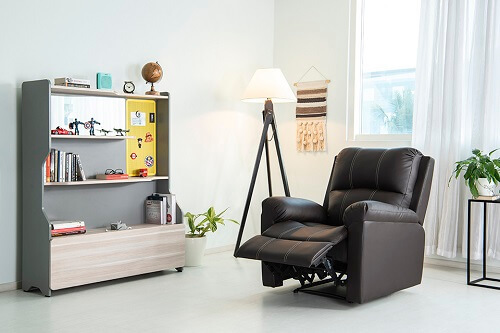 Throw in a small study table, comfortable recliner, or just some floor pillows and watch the magic unfold. A cosy nook with plenty of books, sounds like a dream doesn’t it? Transform your corners into an area where the magic happens, by covering the wall with a bookshelf. 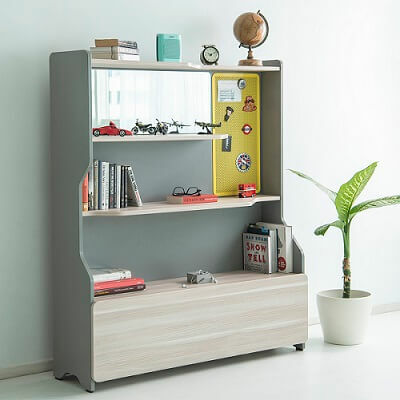 It doubles as storage while adding to the living room corner décor. Our super busy lives often have us working while at home. In such a case, it makes sense to have a designated workspace within your living space. 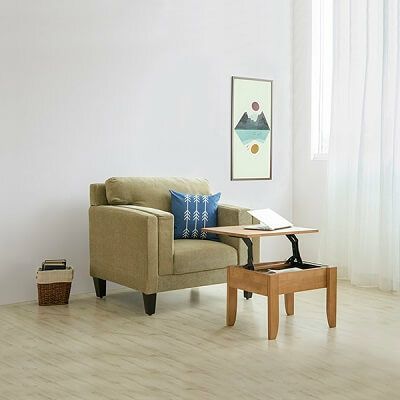 An empty corner, a sleek table, and a comfortable chair are all it takes to work comfortably at home. Green is the colour of life. And what speaks for life more than plants? Indoor plants are a popular part of living room décor today, and they come in many varieties. The bolder and leafier the plants are, the better you can spruce up those corners. 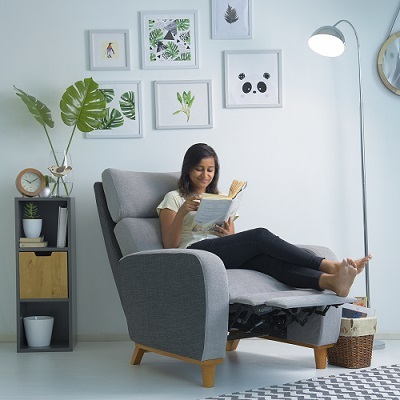 With furniture already crowding the living space, it may not make sense to add yet another piece of furniture simply for the sake of décor. 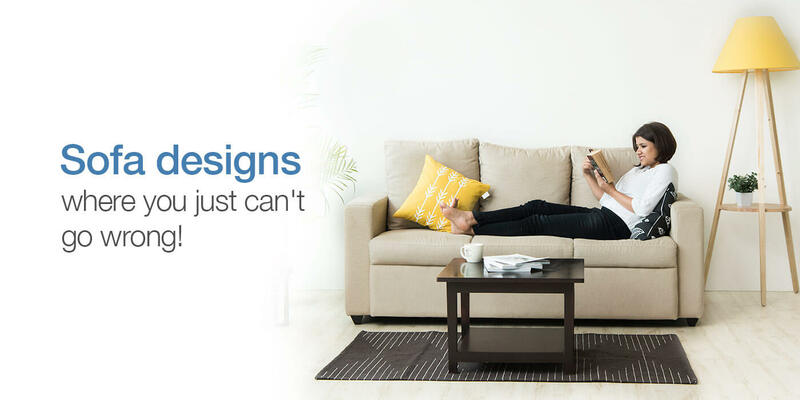 In such cases, investing in a sectional sofa that extends till the corner of the room works well for the space. Sometimes what may seem like the most bizarre of ideas, end up adding that bit of ambience to a living room. From using the corners to hang a cane swing, to adding some different lights, there are so many ways to get the drama flowing to the corners. Cabinets come in different shapes, sizes and design to cater to any nook and cranny of the living space. It adds to functionality while looking neat and tidy. Cabinets are perhaps one of the easiest ways to fill the gaps hiding in the form of awkward corners. The mentioned ways are some ways to spruce up those boring corners of your home. There are so many ways to do it, let your imagination run wild, and you can bring to the table some chic and unique living room corner décor ideas.